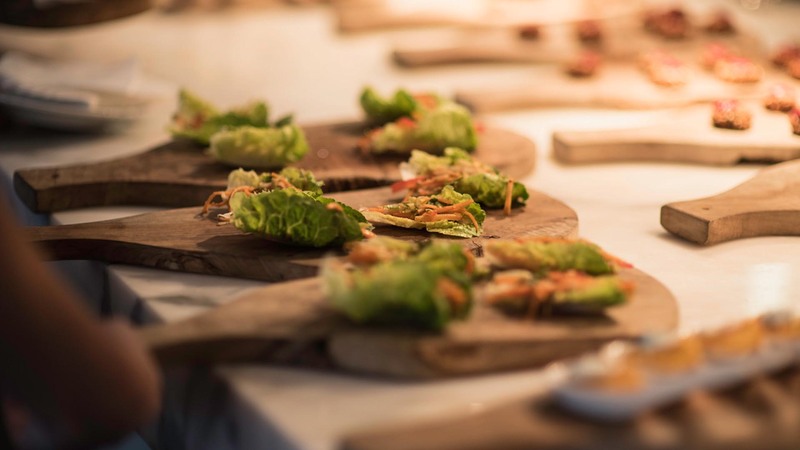 First on our six wellbeing event ideas is, that in 2019, clients expect vegetarian, vegan, and gluten free options as standard, as well as catering for guests with food allergies. 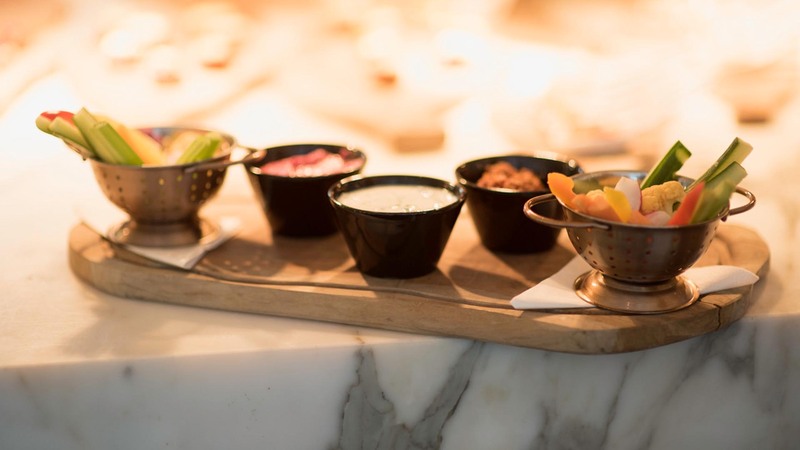 Providing healthy options means going beyond this basic choice, to include fresh, locally-sourced ingredients; lean protein; high-fibre foods such as whole grains and more fruit and vegetables. 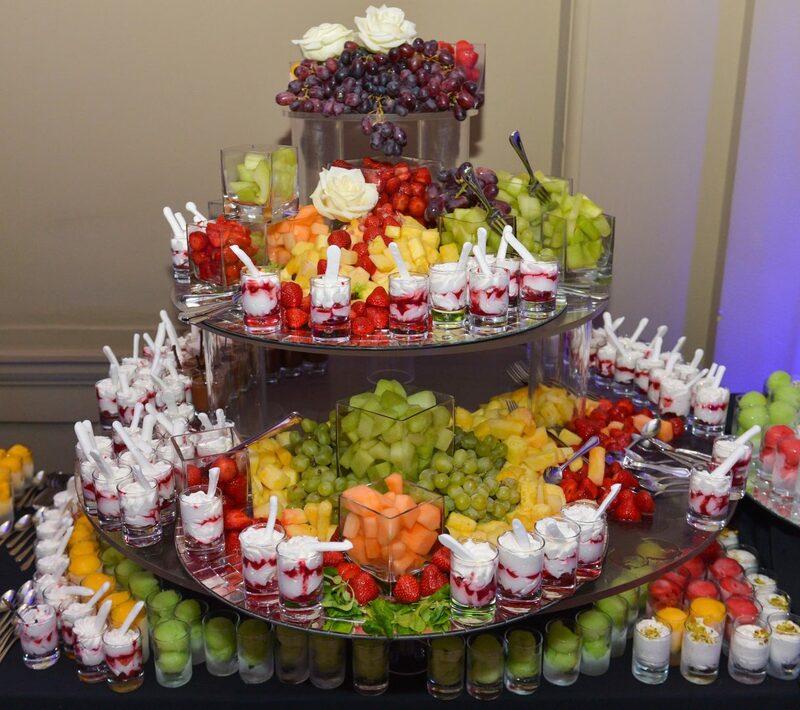 It doesn’t mean you can’t have some indulgent treats as well, but it’s all about choice, so be prepared to work with more than one caterer to provide it. Many of us instinctively reach for a sugary biscuit with our mid-morning coffee, because it’s convenient and fills an energy-starved hole. A fruit bowl or whole fruits such as apples, oranges and bananas gives a healthier choice, but it’s not always the most attractive one. To encourage clients to take the healthy option, make your snacks attractive as well as virtuous. Cups of bite-sized fresh fruit, such as grapes, cherries, melon and strawberries provide a refreshing and often welcome snack. Also, make sure there’s plenty to go around and don’t make it an either or – many people will make a healthy choice if they know they can choose the naughty one too. It’s estimated that more than 3 million Brits are taking up the dry January challenge, abstaining from alcohol for a whole month. 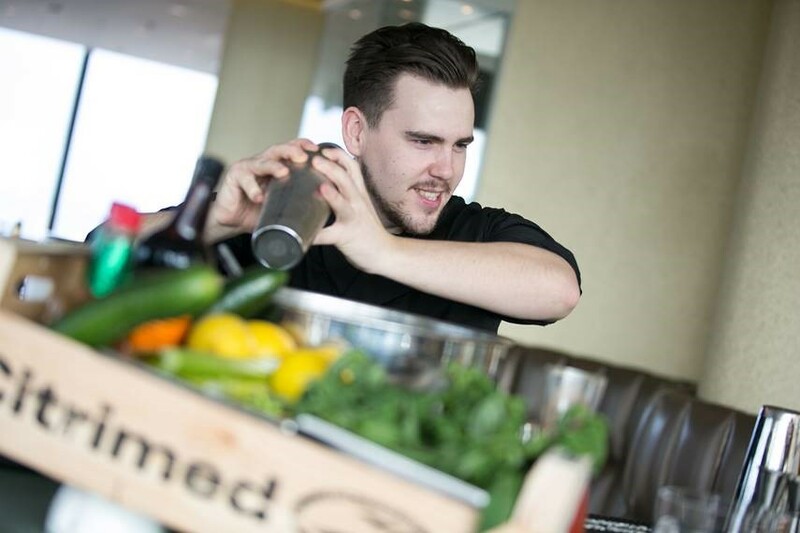 All events should offer water and juice as an alternative, but when there are so many people opting for the soft drink option there has never been a better time to experiment with smoothie bars and mocktails. Apple, elderflower and mint sparkle, a simple mix of elderflower cordial, apple juice, chopped mint and sparkling water, makes a sophisticated thirst quencher. You can find a recipe on The BBC Foodguide along with enough mocktail ideas to try out a new one every day of the month. No matter how interesting your event, everyone gets sluggish if sitting at a conference or workshop all day. Getting people to move during ice-breakers is an easy way to incorporate physical activity. Choosing a venue with large grounds or offering guided city walks can be a great incentive to get people active during breaks. The key is to make exercise a choice, and researching your guests’ preferences before they arrive will give you an idea of the type of wellbeing activities they might be most open to. Choices are endless…from five aside football, to axe throwing or a city centre scavenger hunt! We’ve all heard of networking, well sweat-working is simply taking the discussion out on the road. For those who want to up the intensity of their activity, choosing a venue with onsite gym is an attractive option. 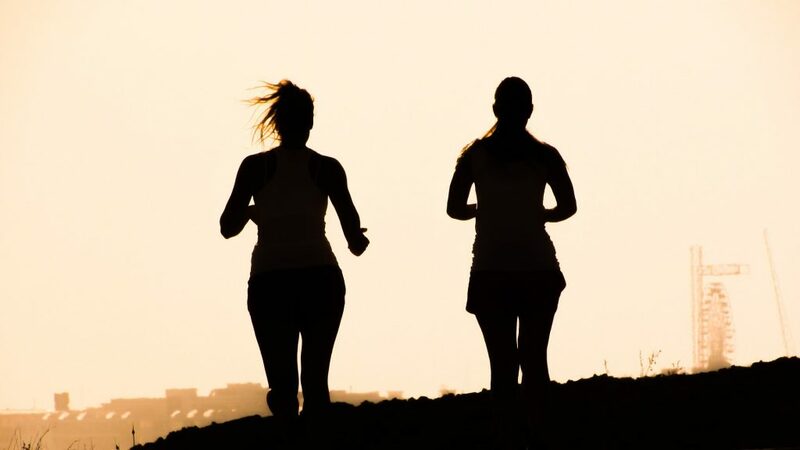 But to keep the camaraderie up, you might consider organising a group run or post-event work-out. When it comes to wellbeing, food and fitness are obvious considerations, but they are not the only ones. Rest and relaxation are just as important. Facilitating downtime can be as simple as providing a quiet, tech-free zone. Other popular options include yoga and meditation break-out rooms; or creating a chill-out zone offering 15-minute neck and shoulder massages, an indulgent treat that carries no worries for the waistline. Time to think creatively. With our six wellbeing event ideas, healthy and holistic approaches can easily be an integral part of your events for 2019! Get planning! !